WSUD - Making It Work! Mark, a consultant and Director of Sustainability Workshop has been designing successful WSUD projects for over 15 years with numerous awards from the Stormwater Industry Association and a Green Globe Award from the Premier of NSW. Mark is currently helping Blacktown City Council review its WSUD procedures. 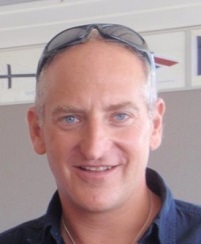 Mark is a qualified trainer and regularly presents at conferences in Australia and abroad.